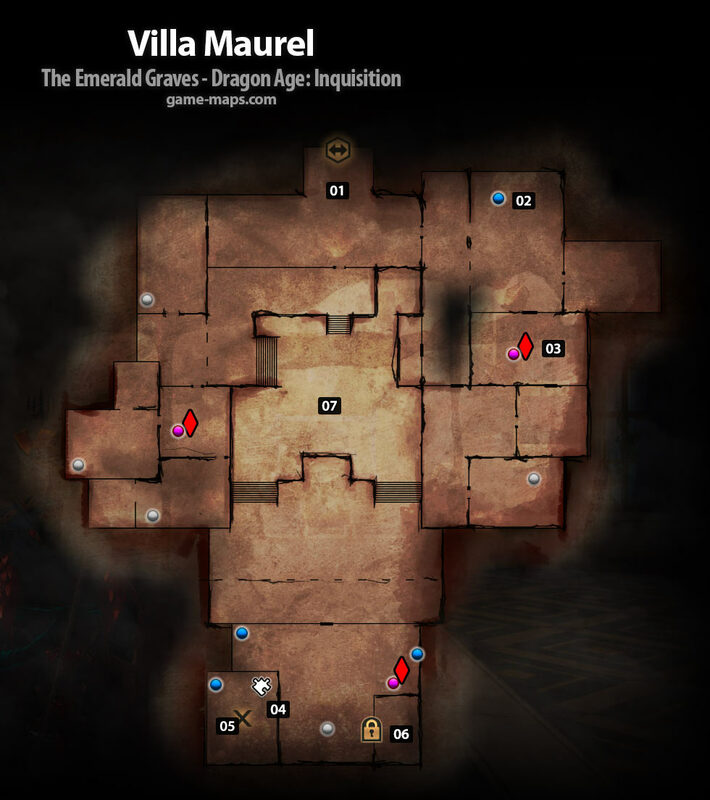 Villa Maurel - Dragon Age: Inquisition Walkthrough, Game Guide and Maps, with Quest and Locations of Camps, Merchants, Rifts, Ocularums, Astrarium, Dungeon Entrences, Landmark (POIs), Crafting Station, Mosaic Piece, Inquisition Agent, Secrets, Party Members, Bottle of Thedas and Codex Entry. There are fragments of a runed key scattered throughout Villa Maurel. If the fragments are reassembled, the key may unlock something of value. ITEM: Part of Key First part of key for Safe Keeping Quest. You need two more. ITEM: Lyrium Eperlan Here you can combine Rune Key from parts.